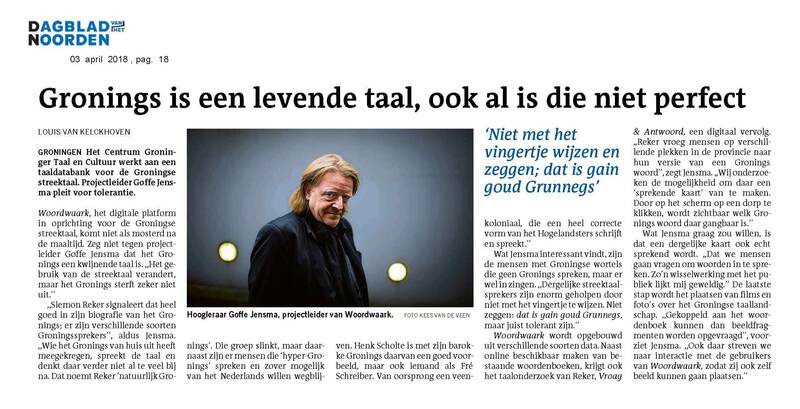 Our mysterious-looking Professor Goffe Jensma talks about Gronings and the project Wordwaark, a new language database. That the Groninger language is alive and kicking, was demonstrated at The Dag van de Grunneger toal (Day of Groninger language) that took place on Saturday March 17 2018 at the Groninger Archieven. It was an inspiring, busy day full of activities in the context of the native language of Groningen. With a broad and versatile program, the organization showed that the Groningen language is very much alive. The language event that takes place every year was attended by about 1,300 visitors. 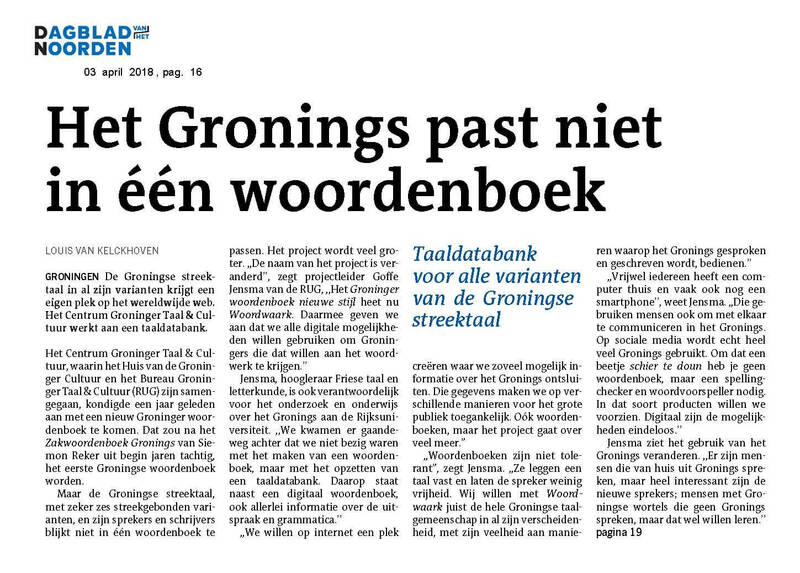 That Gronings is alive, doesn’t mean it is in perfect shape or even has to be. The project ‘Woordwark’ of the Centrum Groninger Taal en Cultuur (Center for Groninger Language and Culture) demonstrates exactly this by setting up a language database for Gronings. In contrast to a dictionary, a language database may contain a variety of spelling and pronunciation of Gronings, aiming to capture and acknowledge all speakers of Gronings. This tolerance is quite important according to professor Jensma, as speakers of regional and minority languages “are not helped by pointing the finger” at their language use. We agree!